The number–one issue for every entrepreneur is Money getting money, raising money, convincing investors to give you money. Whether you are a start up, a family business, or a $100–million company, your biggest issue is always money. Money Magnet is the solution to your money worries. It's the complete how–to guide to attracting private investors debt and private equity for business founders and owners. It reveals what private investment is and how it works, the benefits and pitfalls, how and where to find it, and how to be successful in attracting it. "Every ambitious private business owner should understand the role of investors and how to attract them. 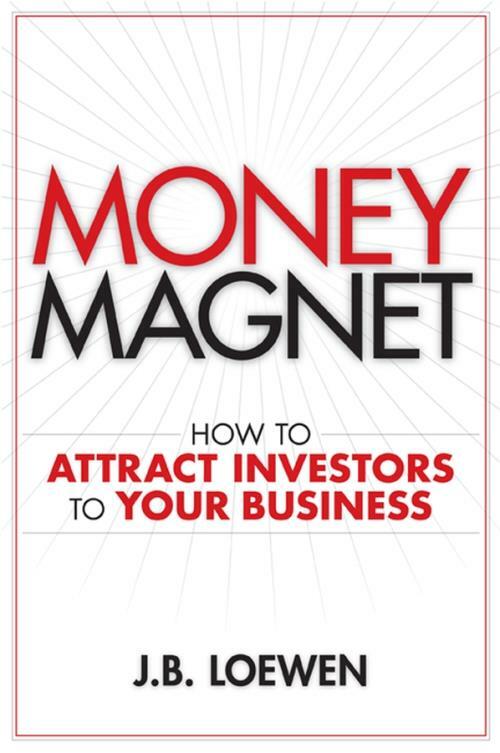 Money Magnet is an indispensible guide to the process." Austen Beutel, Chairman and CEO, Oakwest Corporation Ltd.
"Don't put another nickel into your business until you have read this book. Money Magnet is Financing 101 for entrepreneurs and owners who want to grow their business." "Money Magnet begins with a startling proposition: some businesses succeed more than others simply because they know how to raise money. By sharing these processes, tools and secrets, Loewen is daring Canadian entrepreneurs to dream bigger than they've ever dreamed before." Part I: Why Your Company Needs Private Equity. Chapter 1: What You Should Know about Attracting Money. Chapter 3: Taking on a Private Equity Partner: How It Works. Part II: Building Blocks of Money Magnet. Chapter 4: The Food Chain: Match Your Business with the Right Investors. Chapter 5: What Angels and Seed Funds Need. Chapter 6: What You Should Know about Venture Capitalists. Chapter 7: The Valuation: Create the Framework for Fund Managers. Part III: Getting "Investor Ready". Chapter 8: Four Brutal Questions and Why You Need to Answer Them. Chapter 9: Creating Plans That Get You Funded. Chapter 10: The Smart Presentation: Raising Capital Face to Face. Chapter 11: The Win/Win Deal. Appendix: Selected Web Links to Government–Funded Programs.